stormyk9's version of Sweet Dreams, project page here. 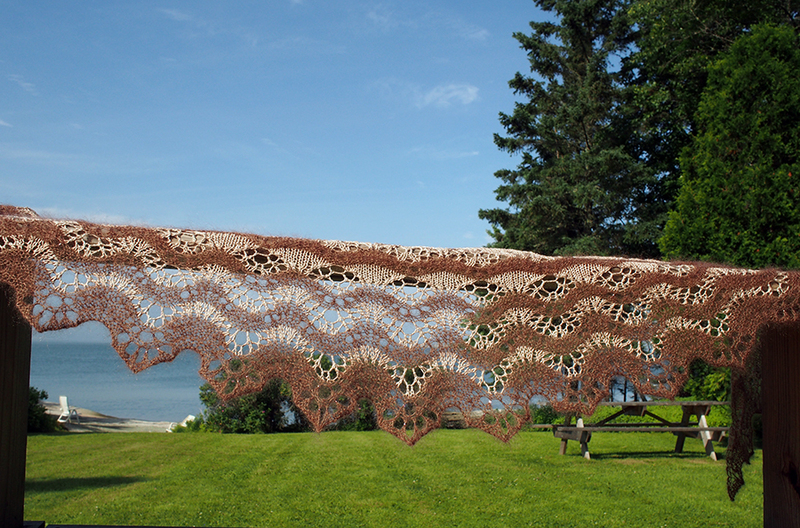 But if you just check out her designer page on Ravelry, you'll keel over from all the beautiful dripping lace borders. 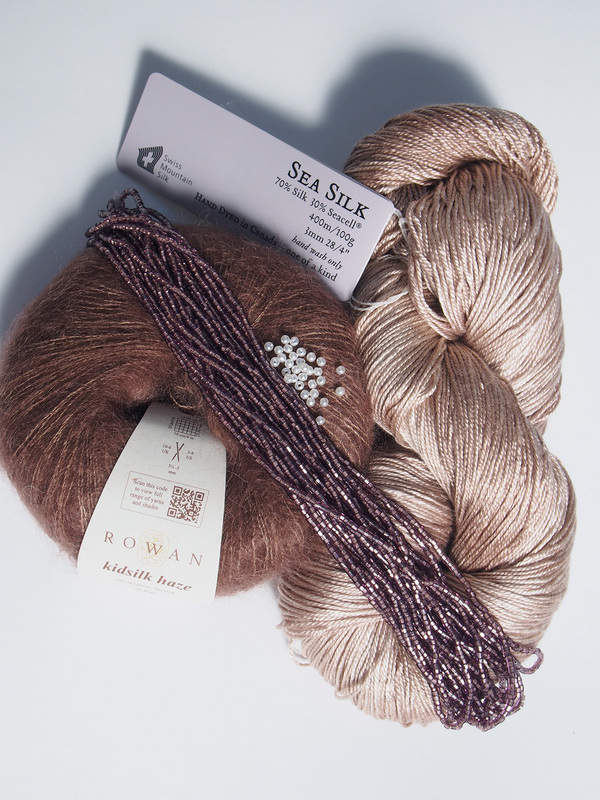 This MKAL had a generous starting time, a month or more it seemed, to choose your yarn. 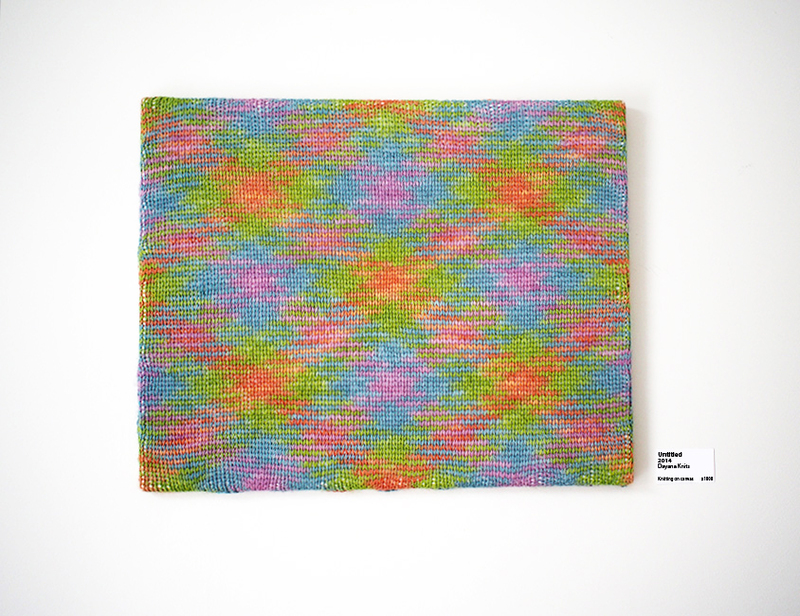 The idea was to pick two different textured yarns of the same shade, such as silky and fuzzy. 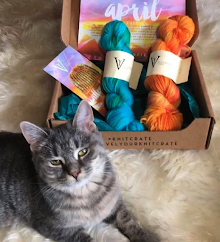 I ran around in circles trying to make it work, but ended up falling for two different textured yarns that were rather different shades (thank you for your excellent color help Sylvie!). 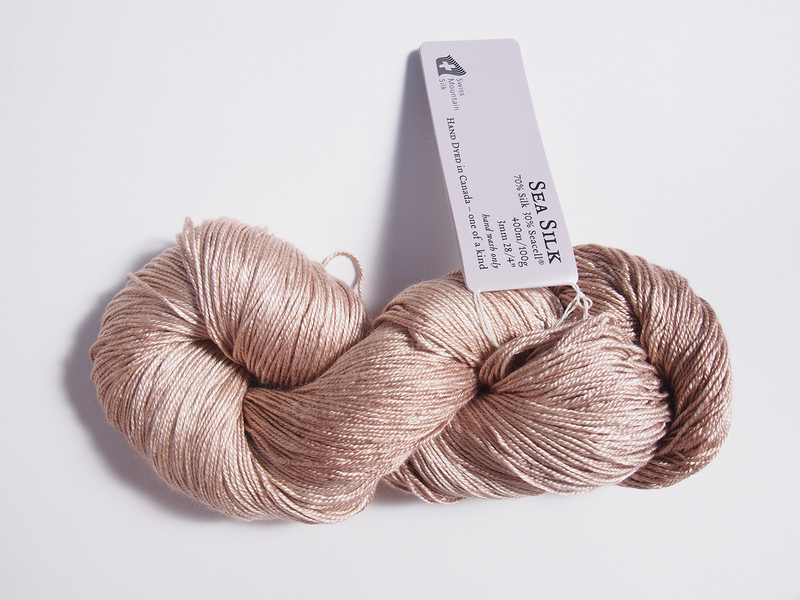 Handmaiden Sea Silk in Crema, had no idea the Swiss made 'mountain silk'! 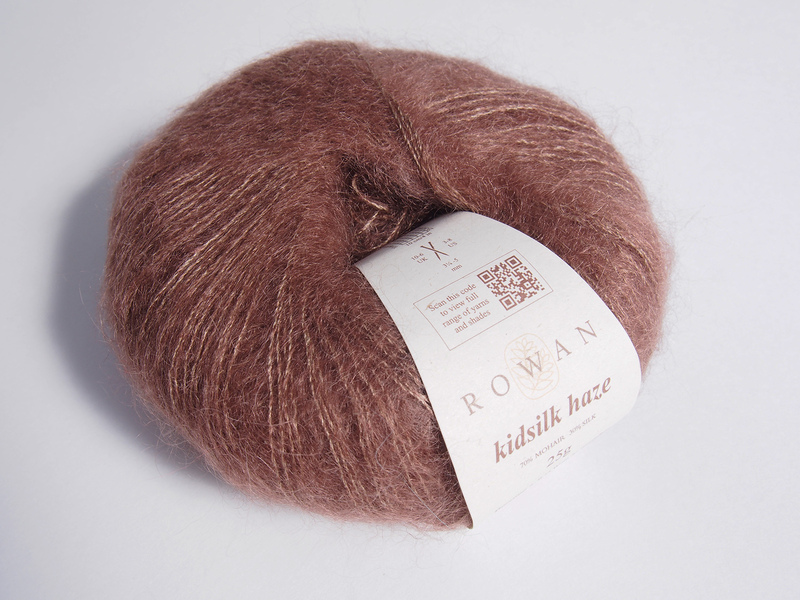 The King of mohair, Rowan Kidsilk Haze in Blustery. 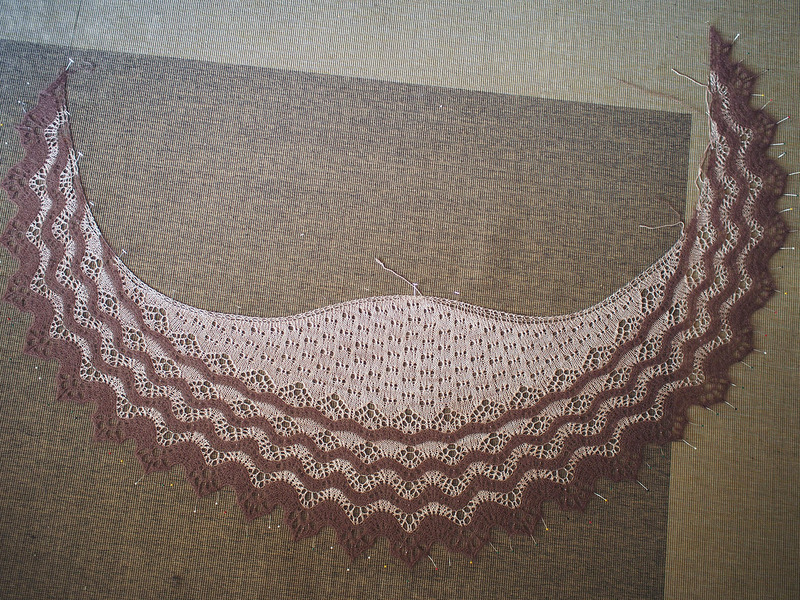 The shawl uses about 800 beads, and I wanted to use my stash. 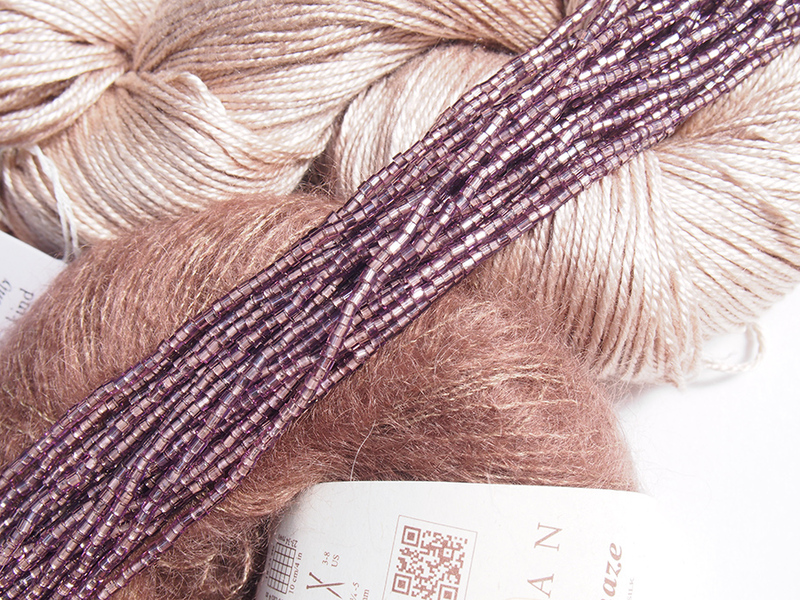 I had two differently sized beads that matched -- the plastic pearls would fit on any yarn, but the shiny mauve beads were very thin and irregular and would only fit on the mohair. 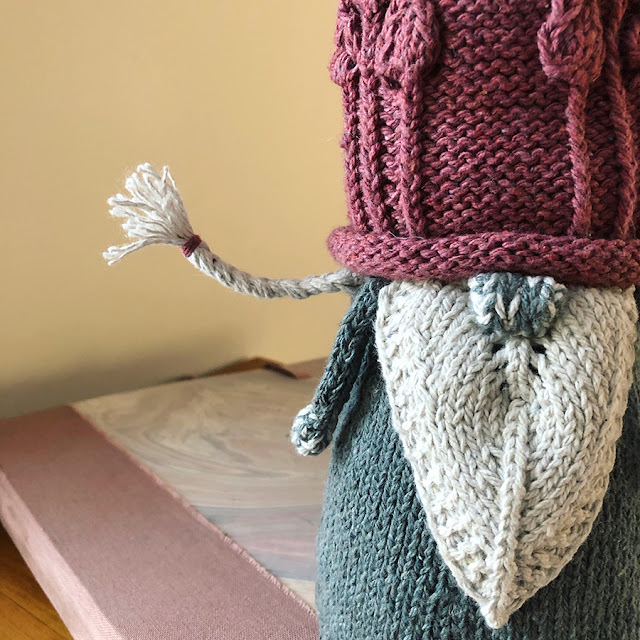 The mystery INCLUDED that I didn't know what yarn the beads would go on... it turned out to be both. 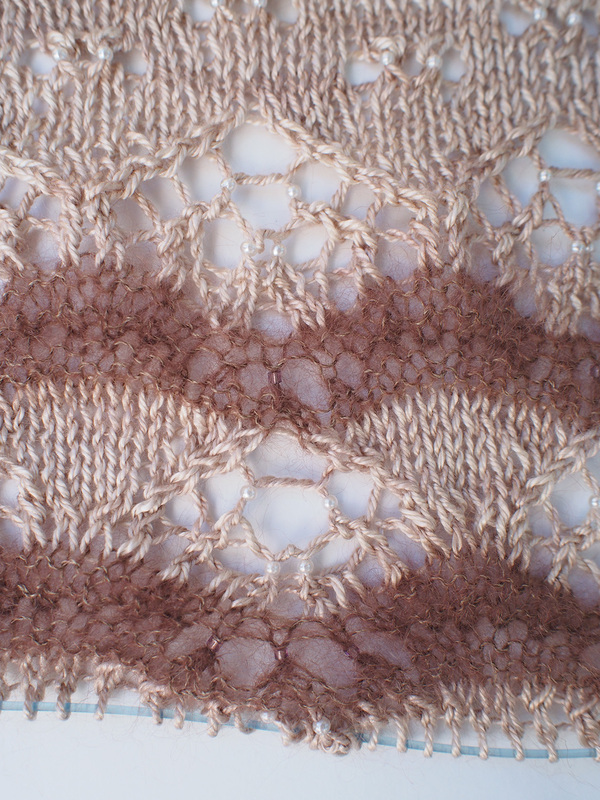 So what I did was use the pearls with the white and the mauve with the brown. The top was done with flexible blocking wires, see more about them here. Unfortunately, this means that the 'hump' often rolls, and OF COURSE, it rolls to the visible side because of the stockinette stitch. 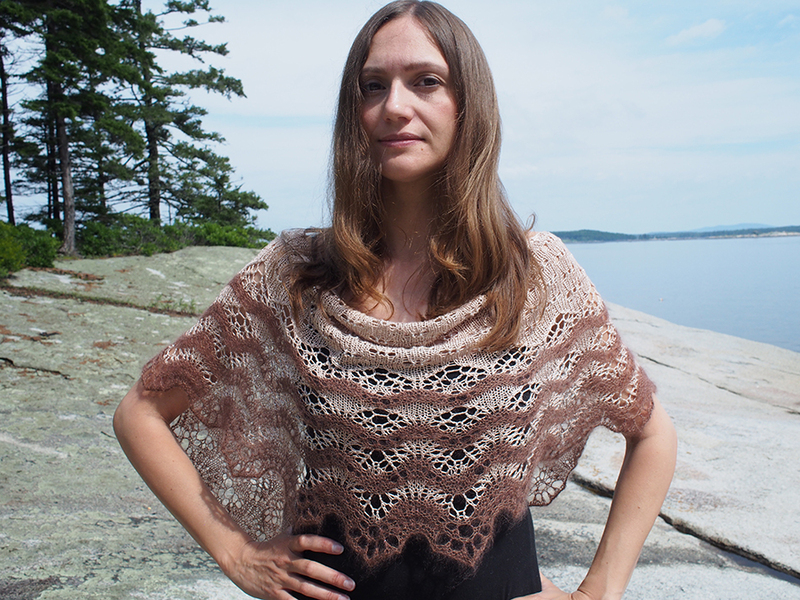 I find myself often trying to tuck it in, but I really don't like having to adjust my shawls too much, I start feeling a bit OCD! Carefully tucked in, but will it stay?! And then I blocked into tri-points. Lovely! 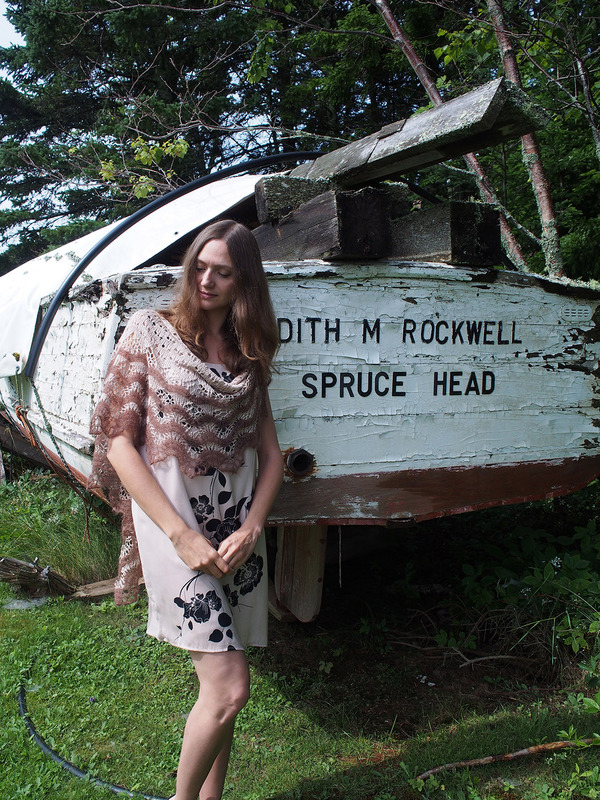 I took all these shots in lovely Spruce Head, Maine, smack in the middle of lobster country. 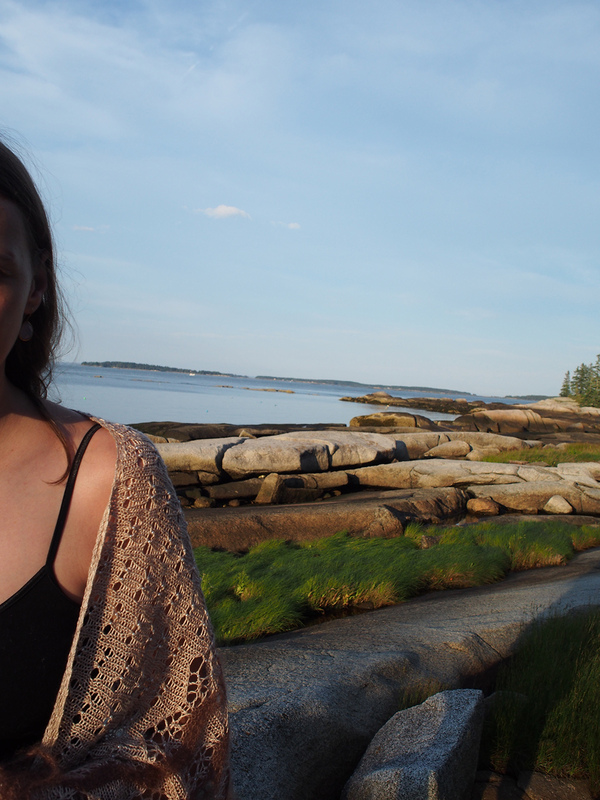 You can see the lobster cage buoys in the background of many of the photos. 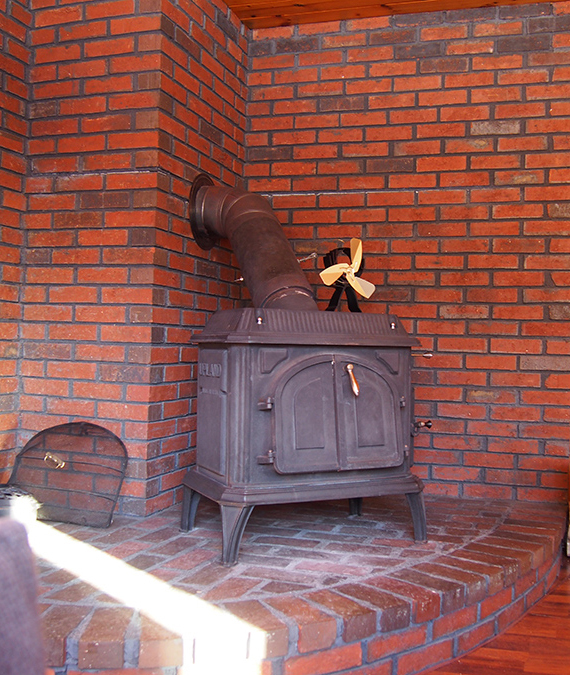 We have a quaint, extremely private rental for a couple, with an excellent lobster shack within walking distance, McLoons. Message me if you'd like any extra info. 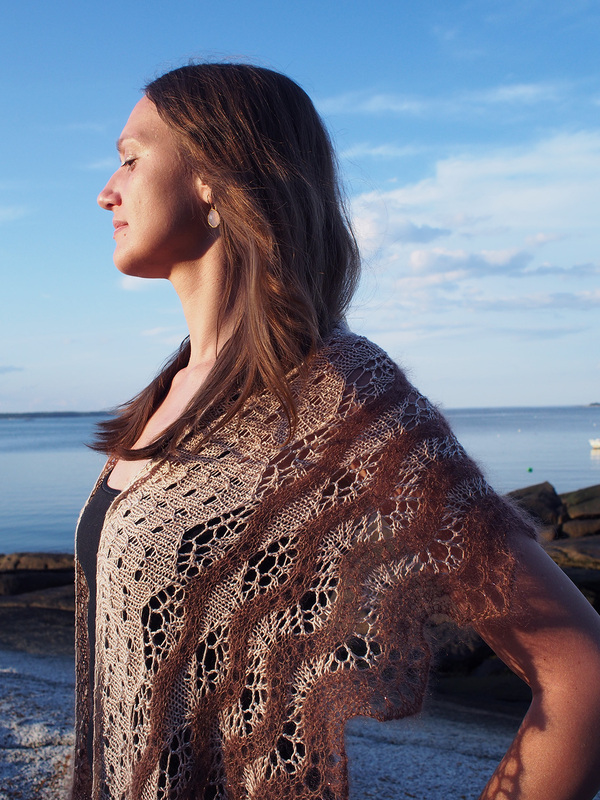 I don't make shawls very often, but this only took 2 weeks and was totally worth the sweater/top/blanket break! 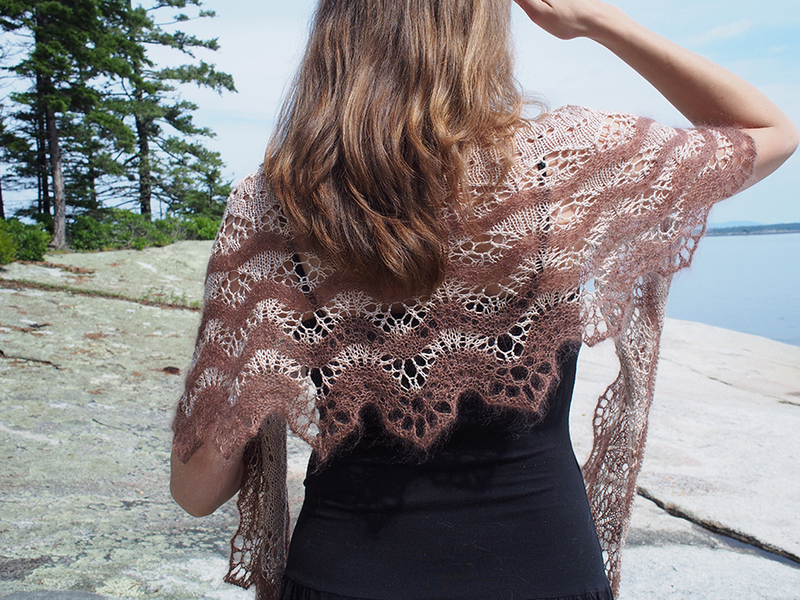 You'll be seeing a lot more of Spruce Head, Brooklin and Bar Harbor, Maine in the coming weeks as I close in on finishing quite a few pieces. 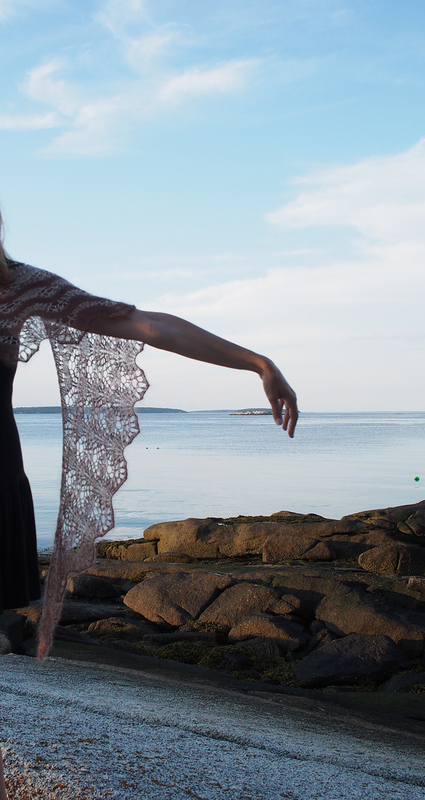 I've been alone for a couple of days, it's a rarity to be by yourself in a delicious vacation spot, and some lobstermen must have wondered what loony was taking pictures of herself on the rocks. Now it's time to go play in the low tide... see you soon! 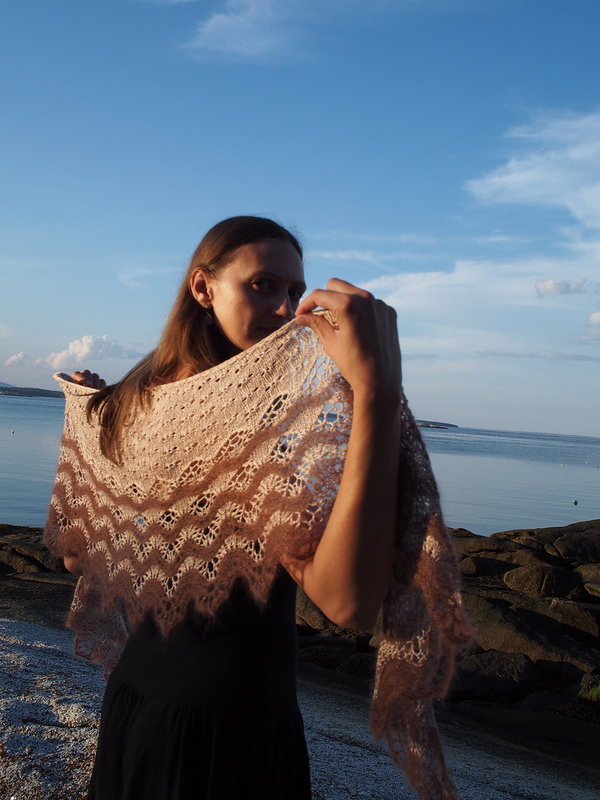 Dayana says, "Follow my blog already!" We've left Spruce Head and now are in a shore house in Brooklin, Maine. The landscape is totally different! Love this state. Simply awwwsoommee Dayana !!! And lovely pics and lovely you ! 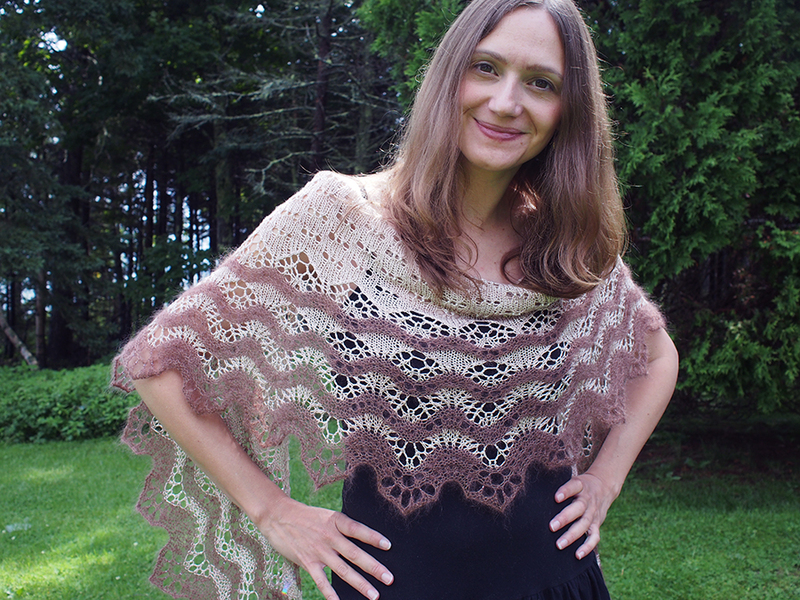 Very beautifully shawl and hostess! 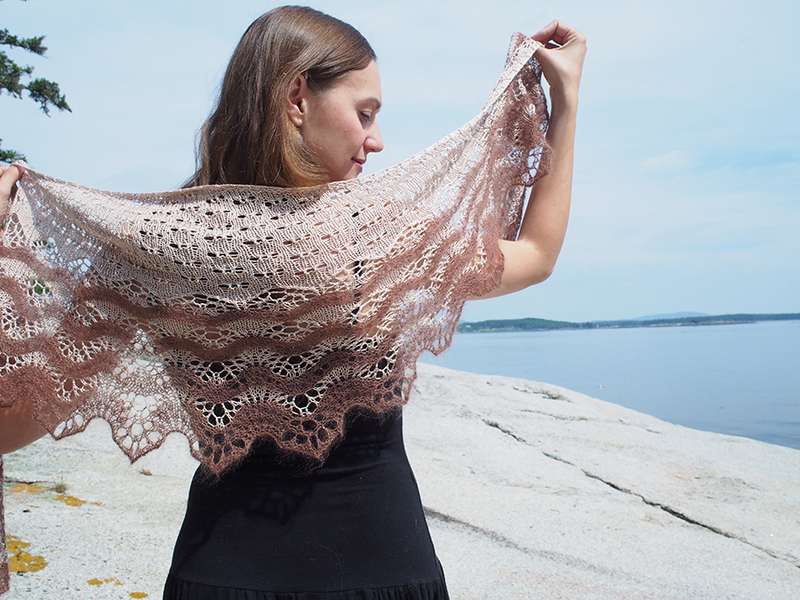 Oh my goodness, what a beautiful shawl, and gorgeous photos to boot! 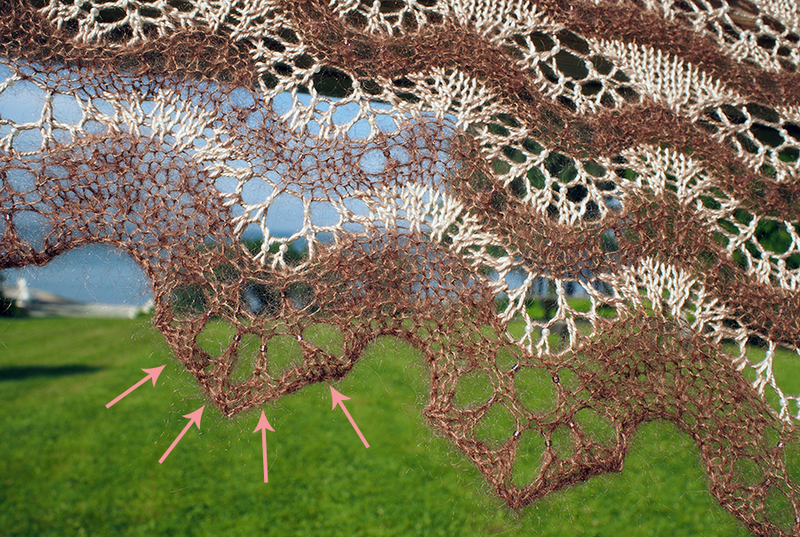 Having knit a few other BooKnits patterns, I can say that the gorgeous drippy lace borders (which is what drew me to them in the first place as well) are formed from picot bindoffs (which I usually skip because it takes FOREVER) and really drastic blocking. 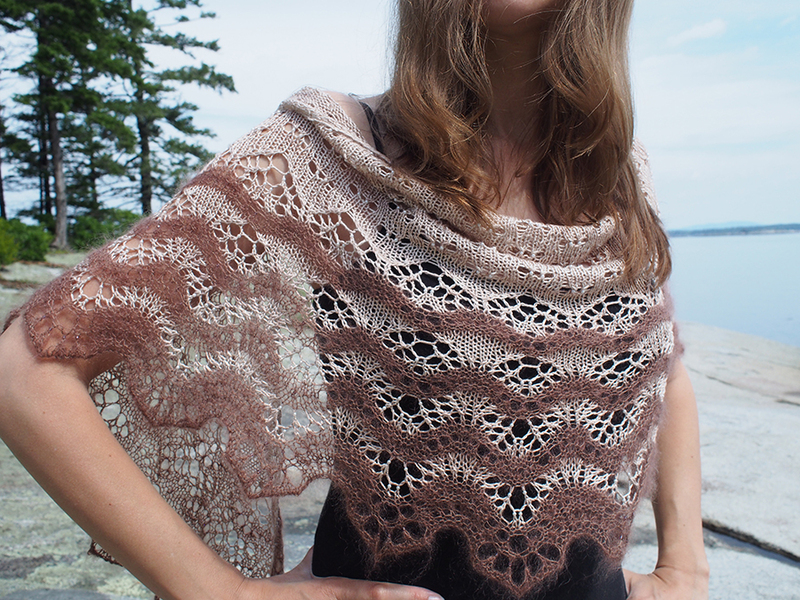 Something definitely to try with this shawl pattern. 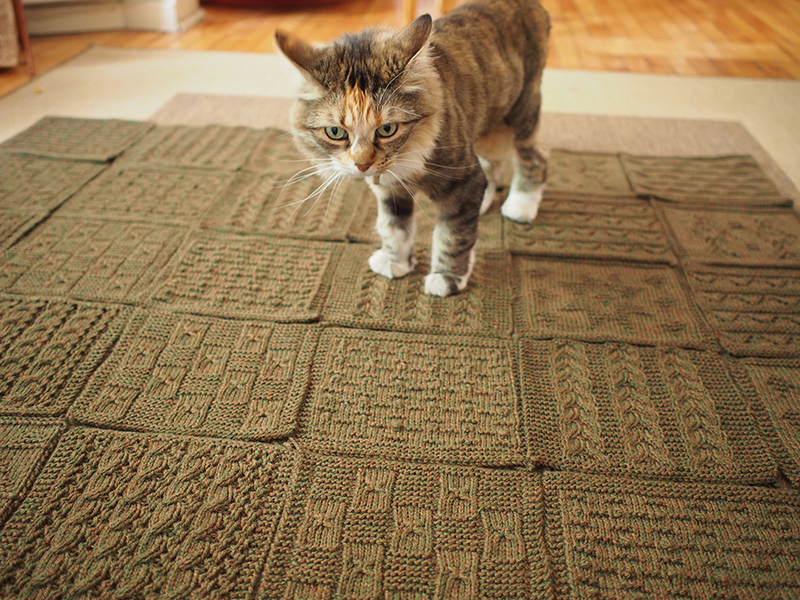 Maybe I should just Frankenstein a bunch of her patterns together! Seriously, how do you take such interesting photos all by yourself? 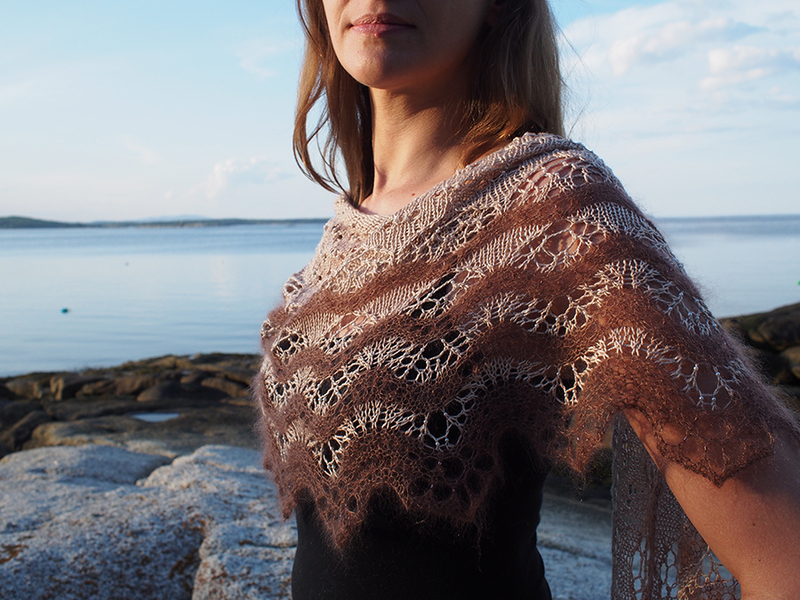 …Oh, and that shawl is pretty impressive ;) Very neat idea to incorporate two completely different yarns! Thank you, pictures alone aren't easy! This is all done using a tripod and a custom timer that waits 5 seconds and then takes 5 photos. My camera has a screen that I can fold so that I see myself posing... but what I really need is a remote trigger or better camera knowledge as I always have to stand within arm's length to auto-focus. I'm trying to get my husband to give me a tutorial this vacation time! 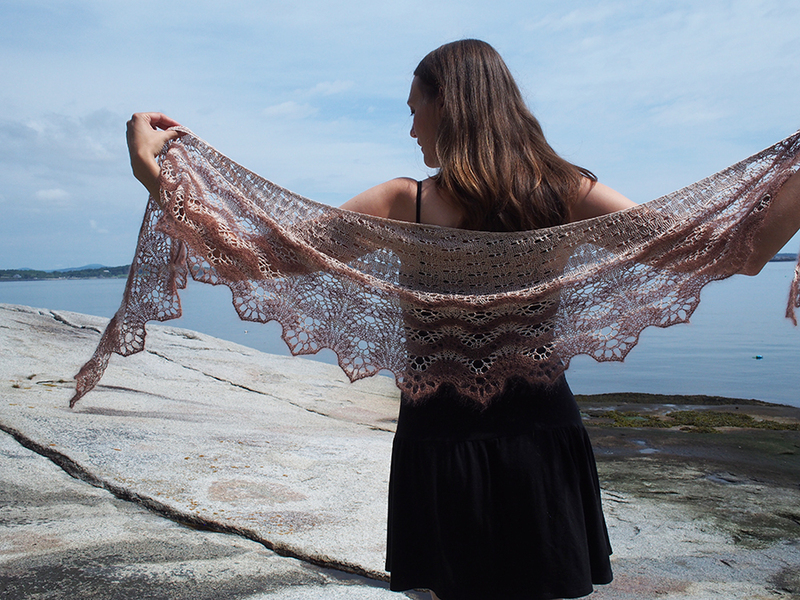 That's one beautiful lace pattern! Wow that looks lovely! 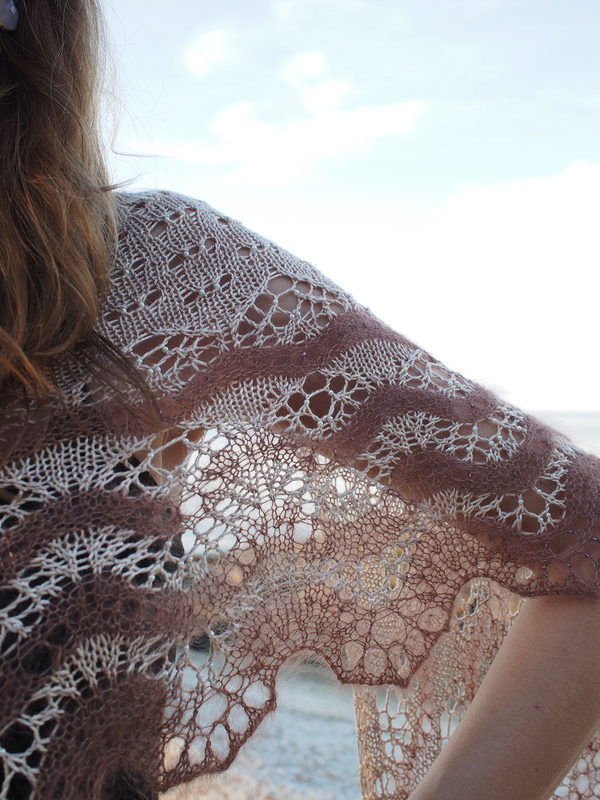 I haven't finished mine yet but when I do I'll be sure to block the lace edge to point too! It's gorgeous! Truly beautiful. I do hope the 'hump' settles with wear, it would be a pity for you not to get full use from it!